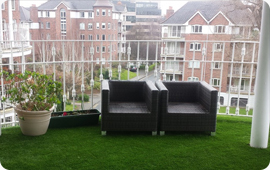 Rhino Lawns installs and supplies worldwide the best fake turf on the market. 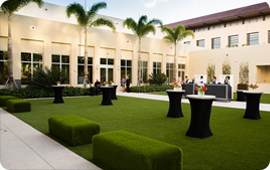 Synthetic grass is used in a variety of applications, thanks to its unique versatility. 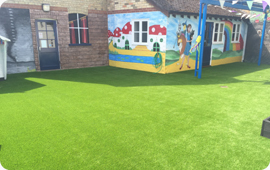 Our wide range of products can transform any outdoor or indoor area and offer an ideal solution for children’s play areas, balconies, gardens, roof terraces and courtyards. 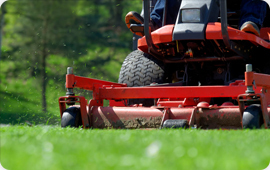 Rhino Lawns is an award-winning supplier and installer, with more than three decades of experience transforming outdoor and indoor spaces around the world. 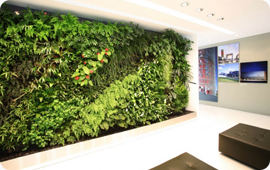 From design to installation, customers are assured of the highest quality product and service when choosing fake garden solutions for their home or business. We never compromise on quality. 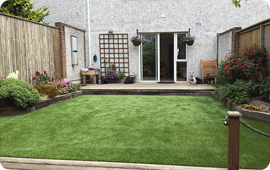 Whether you are looking for a cheap artificial grass installation in a small front garden, or a large grass lawn offering a year-round space ideal for pets and children to play – Rhino Lawns has got you covered! 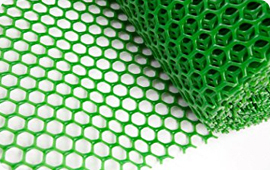 Artificial lawn technology has come a long way since the early days, when Rhino Lawns began perfecting the craft of Astro turf installations on sports pitches and playing fields. 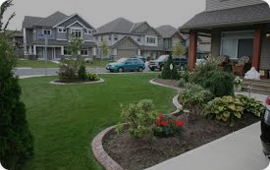 All Rhino Lawns landscaped gardens are incredibly realistic and versatile. 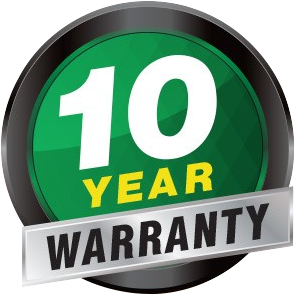 British designed, our products are tough, durable, safe, and fully covered by our Up to 10 Years on selected ranges! © Copyright 2019 – Rhino Lawns Artificial Grass Installers T/A T/A Search Builders Ltd 11755250 * Some images on this website are used for representation purposes only.